Fondation Vincent van Gogh Arles thanks its partners for their support. Air France-KLM is a world leader in its three main businesses – passenger transportation, cargo transportation and aeronautics maintenance. The leading group in terms of intercontinental traffic on departure from Europe, Air France-KLM operates up to 2,200 daily flights enabling its customers to travel to 316 destinations in 115 countries. As global leader in innovation and high‐tech engineering consulting, Altran accompanies its clients in the creation and development of their new products and services. Altran has been providing services for around thirty years to key players in the Aerospace, Automotive, Energy, Railway, Finance, Healthcare and Telecoms sectors. Covering every stage of project development from strategic planning through to manufacturing, Altran’s offers capitalise on the Group’s technological know‐how in five key areas: : Intelligent Systems, Innovative Product Development, Lifecycle Experience, Mechanical Engineering, and Information Systems. 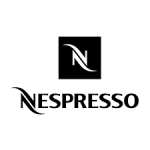 Nespresso offers exceptional coffees and innovative machines for producing espressos and gourmet milk recipes.